Orca societies are matrilineal on the whole. But family bonds aren’t always as strong as they are among the southern residents. Transient males sometimes separate from their mothers and become ‘rovers.’ But nor are southern residents unique; the northern residents have a very similar social structure. The latest records haven’t yet been analyzed in this way, but scientists who study the whales say they’ve seen similar trends as the whales have struggled in recent years: pods splitting up into single, pairs, or trios of matrilines, and fewer whales together at a time. 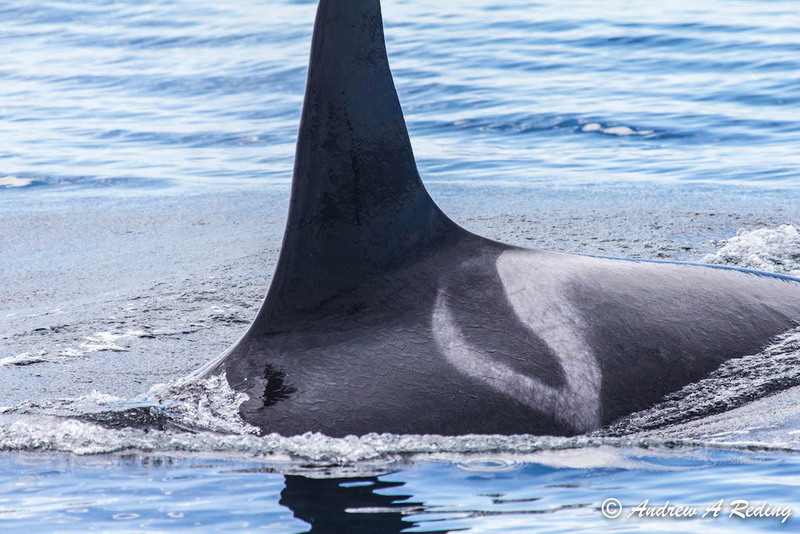 “There’s just not enough food to support them in any one area if they’re all together,” says says Deborah Giles, a killer whale biologist with the University of Washington Center for Conservation Biology and science and research director for Wild Orca. That suggests Puget Sound might be culturally important to the whales as a meeting place, not just a foraging ground, Shields thinks. Still, fractured pods and fewer superpod gatherings could affect opportunities for mating, bonding, and information sharing throughout the population, she and other scientists say. Researchers believe this phenomenon is linked to the whales’ habit of sharing food with their social connections. Male killer whales are larger than females, and need more salmon to sustain themselves, so they’re especially reliant on shared food. A ‘spiritual feeding’ ceremony in which the Lummi honor the qwe ‘lhol mechen involves placing salmon on cedar boughs in deep water to share with their relatives. When Lummi leaders performed this ceremony in January, “We had one live chinook to feed Princess Angeline, and a dead one to offer the qwe ‘lhol mechen ancestors,” Raynell Morris, senior policy advisor in the Lummi Sovereignty and Treaty Protection Office, wrote in a Seattle Times op-ed. J17’s family group also includes a son and a grandson, ages 10 and nine; an orphaned 10-year-old granddaughter; a four-year-old daughter; and, of course, L87. “I can just imagine that J17 has been trying to feed these other whales, maybe at the expense even of herself – trying to keep her family members well nourished,” Shields says. 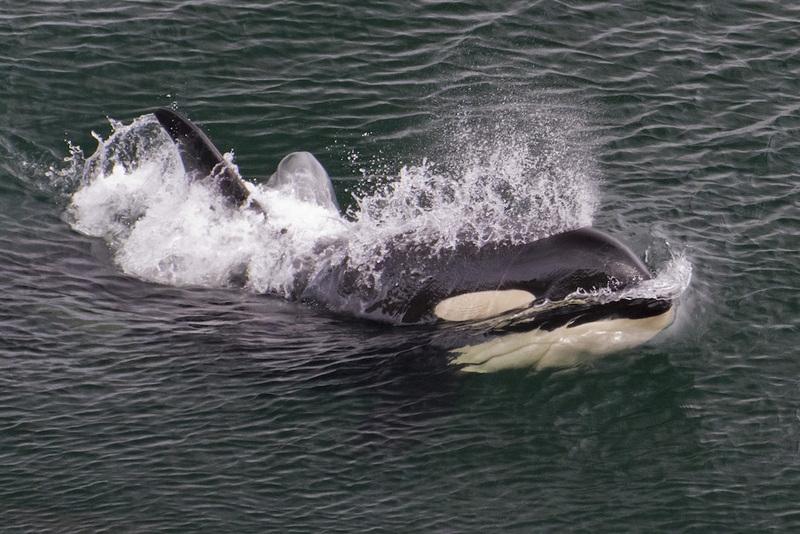 Female orcas over age 42 – J17’s age – are considered ‘post-reproductive.’ But these older females remain crucial to the survival of their families, not just as providers but as leaders. Older females are often in the lead when groups of southern residents are traveling through foraging grounds. Sons are more likely to follow their mothers than are daughters. And, again, these older females are out in front more often when salmon are scarce. These whales may hold other types of knowledge important to the group as well: hunting methods, parenting techniques, expertise in mediating conflict. 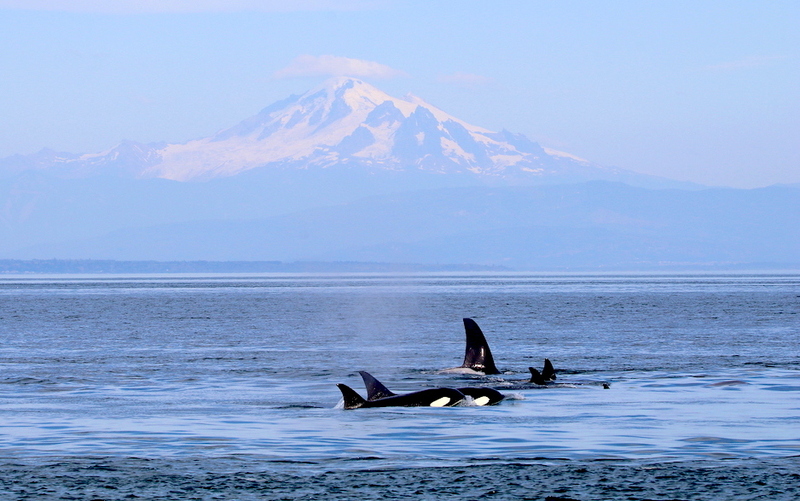 And all that may change conservation strategies and decisions about when to intervene medically to help a struggling whale, says Joe Gaydos, SeaDoc Society science director [Gaydos is also a topic editor for the Encyclopedia of Puget Sound]. But scientists who pay close attention to the southern residents can see that something has changed. “When [J2] would want everybody to go a particular way, she would just slap her tail on the surface of the water. And you could see whales from literally miles away come directly to her side,” Giles recalls – not just whales from her own J pod but Ks and Ls as well.